Arseniev Dmitry G. Ivanov Vladimir M. Berkovskiy Nikolay A. The adaptive important sampling method is considered. That is a modification of sequential Monte-Carlo method for calculation of multidimensional integrals. 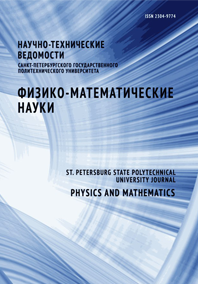 The comparison with known numerical methods is made. The sort of functions which are most suitable for use is found.